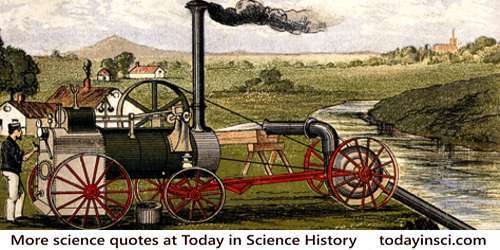 Even the development of the steam engine owed but little to the advancement of science. 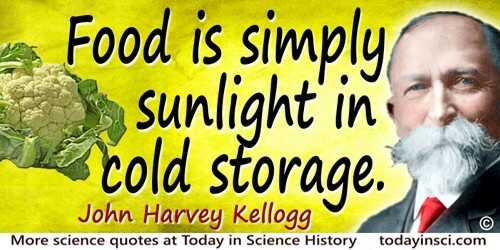 Science and Common Sense (1951), 299-300. Entry for Friday 22 March 1776. In George Birkbeck-Hill (ed. ), Boswell’s Life of Johnson (1934-50), Vol. 2, 459. 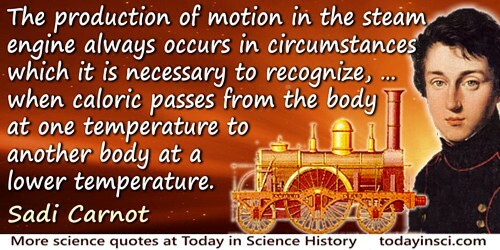 It is a remarkable illustration of the ranging power of the human intellect that a principle first detected in connection with the clumsy puffing of the early steam engines should be found to apply to the whole world, and possibly, even to the whole cosmic universe. 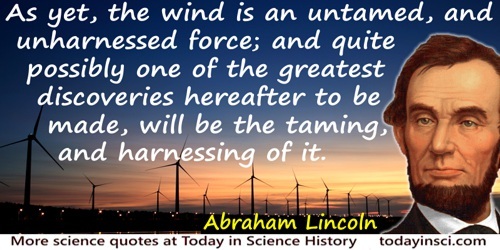 In Man and Energy (1955, 1963), 132. 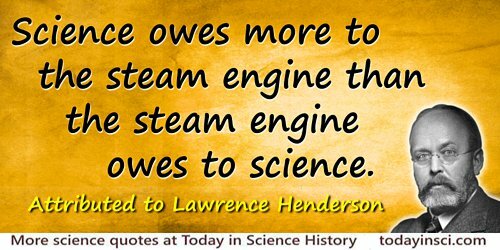 Science owes more to the steam engine than the steam engine owes to science. Attributed (1917 ?). 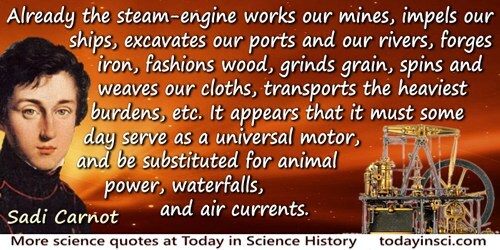 The quote means that whereas the steam engine was developed with little use of scientific theory, the machine spurred great advances in science including the ideas of entropy and thermodynamics that were not previously suggested by nature. The quote appears in various books without source citation, for example, in Charles Coulston Gillispie, The Edge of Objectivity: An Essay in the History of Scientific Ideas (1960), 357. If you know a primary source, please contact Webmaster. The animal frame, though destined to fulfill so many other ends, is as a machine more perfect than the best contrived steam-engine—that is, is capable of more work with the same expenditure of fuel. The steam-engine I call fire-demon and great; but it is nothing to the invention of fire. From Chartism, collected in James Wood (ed.) The Carlyle Reader (1894), 74. [W]e pity our fathers for dying before steam and galvanism, sulphuric ether and ocean telegraphs, photograph and spectrograph arrived, as cheated out of their human estate. 'Works and Days', Emerson's Complete Works (1883), 152.